There are 58 folk music festivals taking place within the next five weeks. These are the festivals with a start date from today onwards for the next five weeks. So if you need a quick fix of your favourite musical genre, try one of these great music festivals. We're sure you'll enjoy the music. They are arranged in date order, with the soonest one first. Remember, we can't check every ticket price, unfortunately, as some are not listed until closer to the event, so we advise you to check the prices yourself. Multiple venues, appears to be free. Variety of events and music styles to enjoy over four days of fun in the Inner Hebrides. A weekend of Scottish music featuring folk-rock bands, fiddle, accordion, dance and ceilidh bands. The events aren't ticketted, and most are very crowded! Also available It's FREE, mainly. Participation in Dance, song & music. Dutch, French, American Contra, Breton sets, Morris, Longsword, Cajun, Scottish dancing. Dutch group dancing in costume (to join-in); Maypole, Handbells, Evenings of Social Dancing. Folk song sessions/ part song groups/ walks. The emphasis of the Gathering is firmly upon the native traditions of Northumberland and. whilst there is plenty of scope for traditional music from all over the British Isles within the festival, the wealth of local culture is well to the fore. Similar to the Scandimot event. Guests appearing from around the North Sea/Nordic regions along with guests from Scandinavia and Scotland. The Rustic Folk, Acoustic and Roots Music Festival will be returning in 2019 for its second year. Held at The Rustic on Hopley's Family Campsite, Bewdley, Worcestershire, the Festival is hosting 27 great acts over two days, with continuous music alternating between two indoor stages. Incredible music, great food, reasonably priced and all in a lovely setting. Come along for the day or the weekend. The festival is family friendly and dogs are welcome. Discounted camping prices available for festival goers. TradFest Edinburgh - Dun Eideann is a vibrant celebration of folk arts celebrating TradFest will include music, song, storytelling, dance, folk drama, arts and crafts, literature, architecture, film and multi-media in the capital city. Edinburgh's only multi-arts festival dedicated to traditional culture and folk arts. The Fleadh Cheoil is a weekend festival comprised of ceili dancing, music sessions, street entertainment and competitions in music, singing, dancing and storytelling. Traditional musicians of all ages are invited to gather for the Cork Fleadh Cheoil 2018. Concerts, Sessions, Dancing, Workshops, Ceilidh and much more. Several award winning artists have recently been booked. The UK's most northerly folk festival. The Festival prides itself in reaching out to even the most far flung areas of Shetland. Concerts are organised throughout the isles, consisting of some of the best International, British and Shetland music that the world has to offer. In fact, visiting artistes are regularly dumbfounded by the quantity and quality of local musicians that our remote isles have to offer. Nine locations on the island are holding events. The site has blocked itself from opening in our pop-up window - they obviously don't like the free publicity we give them - so copy and paste the link into your browser. 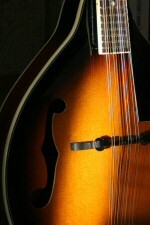 A newish festival, featuring American Oldtime and Bluegrass festival. So while not a pure folk festival, it has some America-style folk music. Worth a visit, as it is not exactly expensive especially if you just go for one day. And when it's big and famous, you can tell your kids you were there at the very first event. This quaint and unique Festival in honour of a famous Donegal Fiddler call John 'The Tae' Gallagher is in its thirteenth year and is going from strength to strength. This year the Festival will honour the great Frank Kelly & Rita Gallagher . A Special Concert takes place on the Friday night in their honour. This is a Concert not to be missed and space is limited - so book early to avoid disappointment. Musicians from all over the world come to the 'Cup of Tae' Festival and all indications are that this year will be the biggest Festival to date. The first folk dance festival of the year, usually. This is a festival for dancers rather than listeners! Pub gigs run all weekend and admission is free for everyone. Also available It's FREE! Mainly. Concerts - Sessions - Open Stage - Competitions - Workshops - Children's Events- Secure Campsite. Popular Scottish event, promises to be even bigger than last year. Over 40 years of existance and still going strong. The Jack in the Green Festival is an annual event that takes place in various parts of the gorgeous seaside resort that is Hastings. It's a four day event and attracts thousands every year. This is a true British May Day celebration not to be missed. The four day event has been described as 'thee celebration of Morris dancing and traditional merriment, centering on the symbolic figure of Jack in the Green and culminating in a wild costumed parade - one of the most bizarre in Britain.' The long weekend event includes music of all genres from some of the best local and surrounding areas bands, sun, historic and social events, and is filled with family fun. Also available Multiple events, many are free. The Highlands and Islands Music and Dance Festival has developed into one of Scotland's major arts festivals, and takes place annually in Oban, Scotland. It includes new special events and competitions, and now offers over 1100 participants 125 competition classes in twelve disciplines including piping, accordion, fiddle, clarsach, piano, recorder, woodwind & brass, singing, Scottish country dancing, highland dancing and choreography. By now a national institution and an international buzz-phrase among the Americana / Roots movement...Ireland's most compact and hospitable music festival, where virtually everything is low-key but high grade. Mixture of genres. All forms of music under the Americana/Roots banner are well represented over the four days. Over 80 shows, including 50 free events on the pub gig trail! We do like to find you something different every now and then..
Scandimoot offers one of the best opportunities you will find in the UK to learn tunes and dances from Scandinavian teachers. Each year we pick exceptional music and dance teachers from Norway and Sweden to come to this small, intimate event in Yorkshire. With such intensive work the standard of both your music and your dancing rapidly improves. The largest Morris based folk festival in the Midlands with Concerts, Ceilidhs, storytelling, plenty of pub sessions for music & song and a huge dance procession on Sunday. Happens every year, first Bank Holiday in May. Since 1972 Wath Festival has been all about great music, community spirit and having a good time. Some of the biggest names in roots music have played at Wath. Host of events, with the weekend being the highlight. Winner "Best Village Festival 2013"
The Rochester Sweeps Festival is a colourful mix of music, dancing and entertainment with more than 60 Morris sides and entertainers celebrating throughout the three-day festival. This year they have added a evening festival concert as well. New to our lists, so it could be new to many of you. Following the sell-out success of the first ever Walton Folk Festival, another amazing lineup of top folk and acoustic acts are set to light up Riverhouse for the Bank Holiday weekend. The Festival takes place in the picturesque town of Clun in South Shropshire. The programme is full of live music, drama, colour and medieval malarkey and is fun for all the family. Four days and nights of the best music you'll hear anywhere, in one of the most beautiful settings on the planet, The Baltimore Fiddle Fair truly is the jewel in the crown of Irish festivals. Full line-up will be announced on 1st January. The Fiddle Fair has firmly established itself as one of the premier opportunities to help encourage and develop the talents of budding fiddle players from Ireland and abroad. CDs of previous events available too. Folk on the Pier is held every year at the Pavilion Theatre on Cromer Pier in Cromer, Norfolk, on England's beautiful east coast. Described by Fairport Convention's Dave Pegg as "the best gig on the North Sea", Folk on the Pier is a highly regarded showcase for the finest folk, and folk-rock acts from the UK and beyond. Details of this year's line-up can be found on the Who's Playing page. The Grand Northern Ukulele Festival is a festival with a bit of a difference. A team of dedicated ukulele-playing music enthusiasts who volunteer our time to produce a festival that is truly like no other. Every year we try to find new talent to showcase, we develop new activities to get people playing and sharing music with each other. There's a range of workshops (including one where you build your own diddly bow), events for all ages and a chance to do something a bit unique. Bringing you the best in local music together with friends from further afield. Set in the Pennine town of Hebden Bridge full of cosy cafes, pretty pubs, vivacious venues, we bring you an intimate music festival full of great sounds, with great beer and even greater countryside. A folk and roots festival covering a wide variety of roots music, from folk and blues to ska and americana. Ceilidh, workshops, sessions, street performers, spoken word. Lots of variety. Described by The Times as One of the coolest villages in Britain. Moniaive probably has more musical events and festivals (per head of population) than anywhere else in the country. And with a sizeable group of traditional musicians living in the village and surrounding countryside, our pub sessions are amongst the finest. Sessions, piping competitions, workshops, and more. The live music stage will provide a full programme, featuring the best of the Island's Folk & Blues musicians. .
A family friendly event including BBQ, Tea Tent, children's activities and Circus Skills. The Wolverton Folk & Blues Fair looks set to be a celebration of all that's good about our Island's local food & music talent. Always at a bargain price! Concerts, Ceilidh, Dance Displays, Sessions and Singarounds. At four venues around the town. Excellent campsite, with free camping for weekend ticket holders. Camping is available 17th and 18th May, �15 per night for tents and �20 per night for vans. Concert marquee, Dance tent, Showground stage and more. On site camping, market and food stalls, crafts, children's festival and youth programme. Family friendly festival based in Shepley, a small village on the Pennine fringe, in West Yorkshire between Huddersfield and Barnsley. Many of Ireland's leading traditional artistes will both teach and perform to keep Skerries firmly on the traditional venue map. Recitals, concerts and workshops will take place at several venues in the town. Workshops again this year and singing & banjo classes are now a permanent feature of the workshop choices. One of the finest places to appreciate our rich tradition of music, song, verse, drama and story, and, at the same time, enjoy listening to, or using, the broad 'Doric' language which is still very much alive here in the North East, and enjoy a friendly family atmosphere where contestants have come from a' the airt's and pairt's o' Scotland and sometimes beyond. A bit like the Irish festivals that are competitions. Held in the beautiful surroundings of Holy Trinity Church on Guildford High Street. With its excellent acoustics and prime location it has proved to be a very popular venue. The festival has two sessions, the daytime session runs from 1pm until 6pm, and the evening starts at 7.00pm. TFF is a non-profit making event. Aims to feature the very best of folk, roots and acoustic music while raising money for local charities. Fiddle Competitions including Young Fiddler of East Clare Competition. There are many Irish traditional festivals organised throughout the summer months but there are few people who will dispute that Fleadh Nua which started in Dublin in 1970, is the forerunner of them all. Bringing together concerts, music, song and dancing workshops, street entertainment, pageants/parades and much more. A multi-award winning creative and performing arts festival set in the beautiful grounds of Catton Hall in the heart of the National Forest. The Midlands largest performing and creative arts festival. Winner of several festival awards over recent years. The World Ceilidh melds together the most ancient roots music with the latest cutting edge sounds. This first truly backwoods upland music fest in Scotland hosts some of the best musicians and performers from across the world. All are invited to journey over hill and dale by rock and stream to our natural greenfield auditorium and to our upland stage to experience the biggest little festival this side of anywhere! Concerts, ceilidhs, dances, clubs and sessions. The Orkney Folk Festival is widely regarded as one of the most prolific and special throughout Scotland, the UK and further afield. The three venues that are used the most are the Stromness Town Hall, the Stromness Academy Lecture Theatre and the Stromness Hotel's function room. Other events take place in local community centres/village halls. Scottish music on the Isle of Skye, accordions and fiddles galore! Small event. so make sure you get your tickets in time. A small, friendly and very welcoming folk festival in the picturesque seaside town of Bude and nearby Stratton in North Cornwall, England, gaining a reputation on the folk circuit as a great little festival. Music from Cornwall, and other countries, such as English and Celtic music. An entirely acoustic festival (apart from the ceilidhs), the festival offers a broad mix of singers, dancers and musicians. There are concerts, sing-arounds, sessions, a folk club, a barn dance, open-mics, fringe events, storytelling, a folk service and workshops. Students get reduced prices, children are free. Concerts, Ceilidhs, workshops, singarounds, sessions, displays, craft fair, family events, children's entertainment. This is a very popular long running event. A festival which still retains its 'village' atmosphere, providing three and a half days packed with song, dance, workshops and dance displays. Described as "one of the friendliest festivals" with "a superb town setting" and "a great line up", we think it really is the best way to start your summers folk activities. The Festival held at Kinnersley Castle offers participants nine days of workshops, concerts and bals. The festival embraces traditional music and dance from European countries. The details page has still to be fully developed at the time of our last visit. Galway Early Music celebrates its 23rd birthday with an exciting international programme, exploring women as composers, musicians, patrons, and inspiration in medieval, renaissance and baroque European Music. Bringing Ancient, Medieval, Renaissance and Baroque Music and Dance to Galway. Yes, you're right, this is not your normal sort of festival. The UK's only Transylvanian festival of arts and culture, Gobefest, returns to Manchester from Friday 24-Sunday 26 May 2018. Last year saw 10,000 adventurous revellers put their best foot forward to try out traditional folk dancing, soak up the unique sounds of a zither orchestra and sample Transylvanian craft beer and delicacies including chimney cake and langos. This year's free event, in the city's central Albert Square, promises a larger outdoor stage and extended programme, which will also shine a light on the culture and folklores of other ten other European countries, including Bulgaria, Turkey, Lithuania, Croatia, Hungary, Greece and Slovakia . Due to the popularity of the food and drink stalls last year - and long queues - an even greater number have been invited. New additions will include a bar selling palinka, a traditional spirit drink from the Carpathian Basin region that can be anything up to 86% proof. Mancunians will also be able to sample mititei for the first time, a highly spiced and skinless sausage that is a BBQ favourite across Romania. Described as 'Europe's answer to TED' (Total Politics), this unique festival of ideas and music promises over 200 events with more than 80 boundary-crossing debates and talks with the world's leading thinkers, as well as music, performance, comedy, cabaret, workshops, spa sessions, academy courses, banquets, and much much more. Discover ground breaking ideas and new thinking, at one of the most special festivals of the year. Ireby festival is for those who have a wide range of musical tastes, we don't focus an any specific genre, if it sounds good we'll give it a try. We will also keep you on the move too with a choice of venues. So one for those with a wide range of musical tastes. Acoustic, folk, roots. The festival has developed a reputation for selling out early. Also available Day tickets £38 and£20. A small, friendly festival in a stunning rural location. Botton Village is a magical place in the heart of the North York Moors and boasts fantastic venues and facilities. Also available Individual event tickets. An annual celebration of music and arts in the beautiful landscape of the three northernmost Yorkshire Dales - Swaledale, Wensleydale and Arkengarthdale. 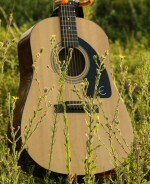 A mixture of music styles, includes acoustic and folk. Spread the word - link to this site and tell your friends. Help the music grow.